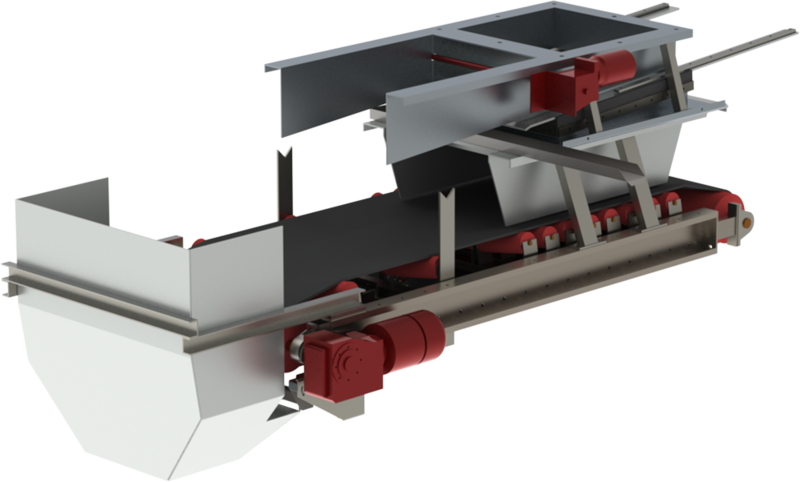 Belt feeder combined with discharge gate type 01.1, including water drainage, for very wet and poorly flowing bulk materials, e.g. for sand. Used mostly in tunnels for stockpile reclaim. 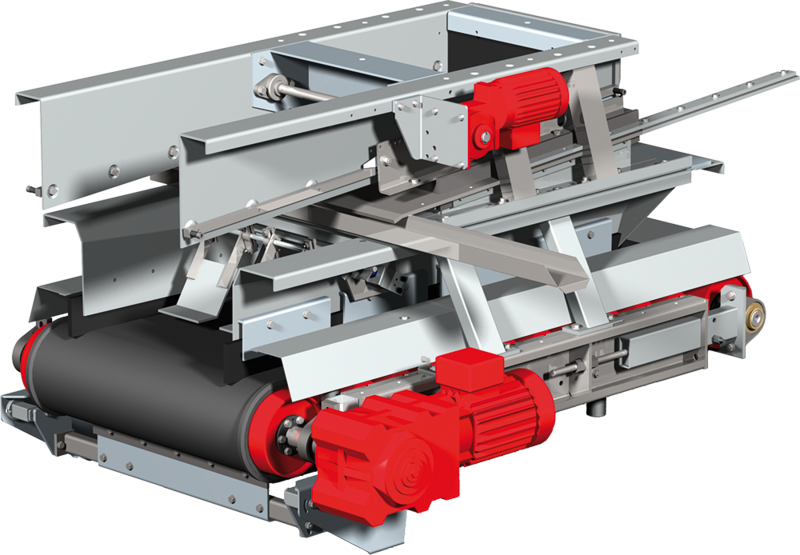 Belt feeder combined with discharge gate type 08, including water drainage, for very wet and poorly flowing bulk materials, e.g. for sand. Used mostly in tunnels for stockpile reclaim. 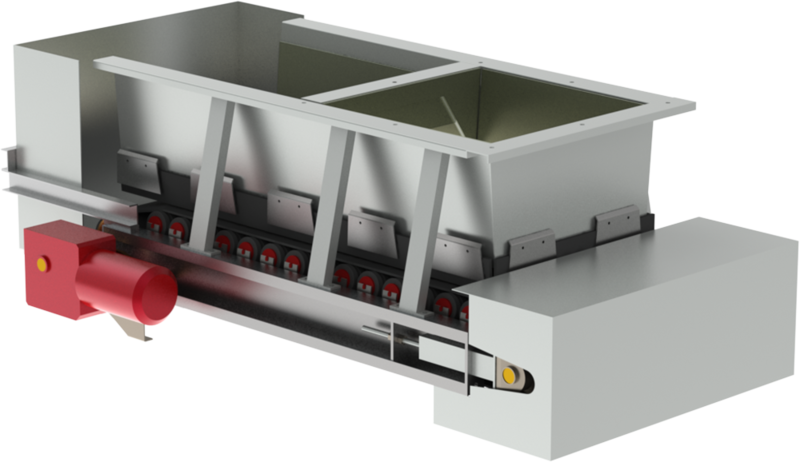 Belt feeder combined with heavy-duty discharge gate type 01, including water drainage, for very wet and poorly flowing bulk materials, e.g. for sand. Used mostly in tunnels for stockpile reclaim. WÖHWA belt feeders have a modular design. 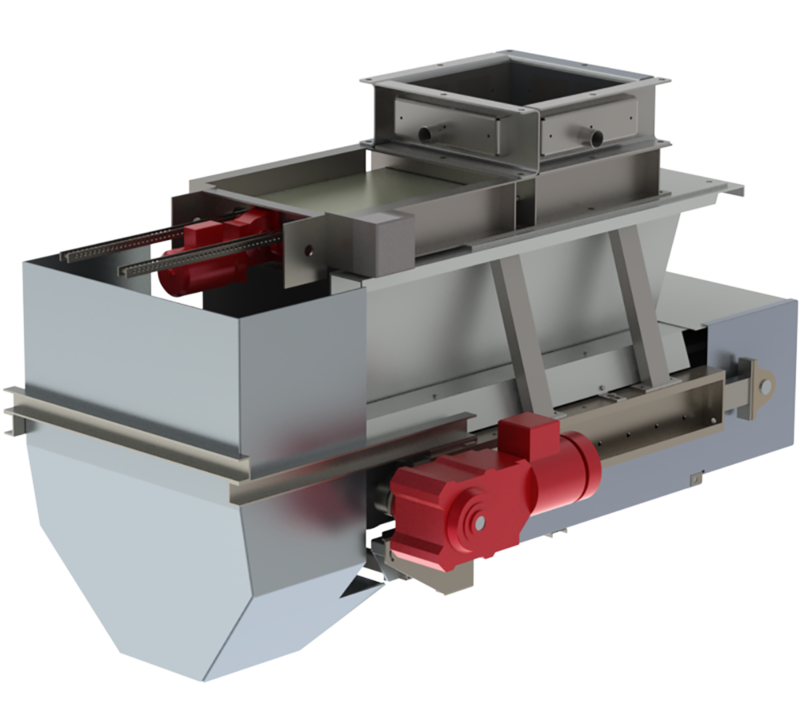 Any belt feeder size and any optional part can be supplied at short notice. All parts are hot-dip galvanized. Gear drive and bearings are maintenance-free.